The Federation of Children’s Book Groups is a national voluntary organisation, whose aim is to promote enjoyment and interest in children’s books and reading. They also produce a range of brilliant book lists, their latest is called Inside the Box. 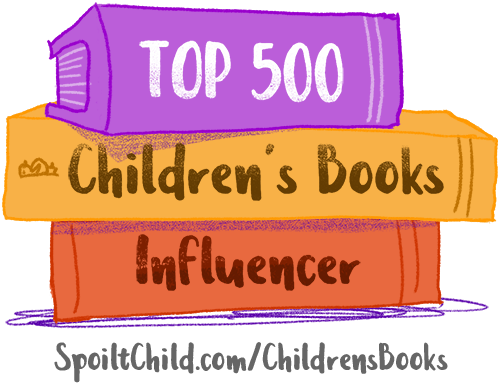 Compiled by Mélanie McGilloway and Zoë Toft (with support from Neil Cameron) it is a comprehensive list ranging from picture books and comics for all ages to comics for teenagers and young adults. The list also suggests several books about comics and comic creation as well as weekly comic magazines. 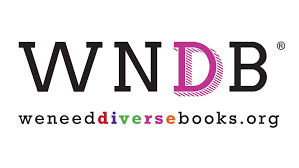 This list is essential for those that feel that they do not have the breadth of knowledge needed to make informed decisions on selecting graphic novels for a school or public library and even for librarians that know their comics there are introductions to new titles. 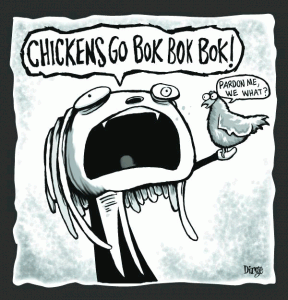 I am going to be totally honest here and say that I am not unbiased when it comes to Roman Dirge’s comics, I have been a fan since 2004 when I purchased Noogies the first Lenore collection at Gosh Comics and have been hooked ever since. Lenore is a cute little dead girl who lives in the town of Nevermore with Pooty Applewater a bucket-headed demon and Ragamuffin a vampire doll waiting in a huge house for her parents to return. So far so weird right? The comic comes with lashings of the blackest humour that will make you feel guilty for enjoying it so much. 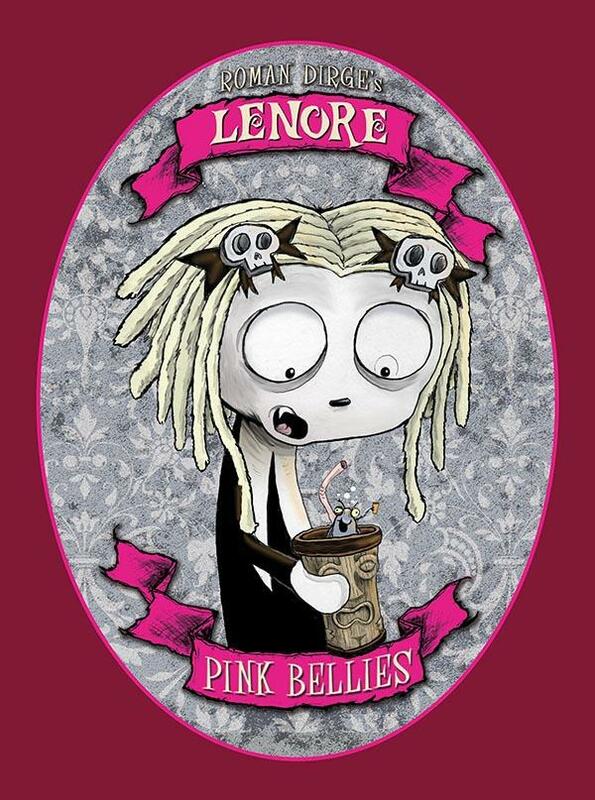 The latest volume, Pink Bellies gives the back story of Taxidermy, Lenore’s neighbour who turns out to have a connection with Lenore going back to her very beginnings. You do not need to read previous volumes to pick up this one as although there is a sort of continuity, each collection can be read independently. While more structured and serious than previous collections, Pink Bellies pokes fun at reality TV, religion and in one memorable scene brings back all Lenore’s dead pets. All in all it is a good wicked read to enjoy if you have slightly twisted tastes* and a fondness for weird stories – hell it will make you care for a pickle hat that gets brought to life – remember I did say weird! I will say that it is probably not suitable for younger readers – they will probably find it hilarious but if you loan it to them you may get some upset parents coming at you, the hilarious scenes of Ragamuffin getting stuck in a bear come to mind! Titan Books very kindly sent me a copy after a went a bit excitable after finding out that there was a new Lenore volume out. Taylor & Francis Online is making the Routledge comic book and graphic novel collection articles freely available until the end of August. For several months I have been hearing whispers about a graphic novel adaptation of Philip Pullman’s Northern Lights trilogy. However owing to more pressing concerns I let them float by with a mental note to check it out when I had some time. Well that time is now. 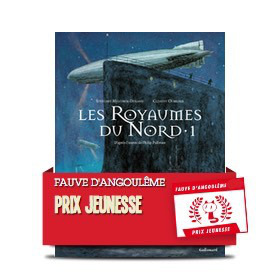 The first book has been broken up into three volumes and is called Les Royaumes du Nord. It is being published in French with an English translation to follow and has been adapted by Stéphane Melchior-Durand and drawn by Clément Oubrerie. Clément Oubrerie is best-known for his work as artist on the Aya of Yop City series. The artwork looks amazing, but not speaking French I will have to wait for the translation, but am looking forward to experiencing this wonderful story in a new format. Tygerdale has a brilliant Q&A with Philip Pullman about the adaptation. The term Holocaust, originally from the Greek word “holokauston” which means “sacrifice by fire,” refers to the Nazi’s persecution and planned slaughter of the Jewish people. The Hebrew word HaShoah, which means “calamity” or “devastation” is also used for this genocide. The thought of what was wrought between 1933 & 1945, not just to the Jews but also to Gypsies, homosexuals, people with disabilities and many others is almost impossible to comprehend. It was inhumanity of a scale that dwarfs the imagination. I have known about what happened for years, it is taught in schools, many volumes have been written about what happened but until I visited the Holocaust exhibit at the Imperial War Museum several years ago, my knowledge was academic. Seeing the pile of shoes in the exhibit and the clothes worn by the inmates of the camps and everything else displayed there affected me so much that I am actually frightened by the thought of going back in to the exhibit. In 2010 I was working for Brent Libraries and for Holocaust Memorial Day we were fortunate to have artist Maurice Blik a survivor of Belsen come in to Willesden Green Library to give a talk to a combined group from local secondary schools. I wept as I listened to him speak of his experiences as a child and the loss of his younger sister. He is a phenomenal artist and also a fantastic speaker. That brings me on to graphic novels, it has been said that a picture is worth a thousand words and that is true of comic books. The belief that comics could be more than disposable entertainment had already begun to change when Art Spiegelman’s Maus: a Survivor’s Tale was published, but it was this book more than many of the other graphic novels published in the late 1980’s that helped change that supposition. Maus is the tale of Art Spiegelman’s troubled relationship with his father Vladek, a Holocaust survivor, and, through his conversations with his father the story of his family’s experiences of Hitler’s Final Solution. In Maus the Jews were represented as mice, the Germans as cats (Katzies), the French as Frogs and so on. Maus has been described as ‘the most affective and successful narrative ever done about the Holocaust’ by the Wall Street Journal and after over 20 years of publication it is still a powerful and moving narrative of the Holocaust and the effect it had on the survivors. Art Spiegelman won the Pulitzer Prize in 1992 after the second volume had been published. A companion volume entitled MetaMaus was published in 2011. In the pages of METAMAUS, Art Spiegelman re-enters the Pulitzer prize-winning MAUS, the modern classic that has altered how we see literature, comics, and the Holocaust ever since it was first published twenty-five years ago. He probes the questions that MAUS most often evokes – Why the Holocaust? Why mice? Why comics? – and gives us a new and essential work about the creative process. Auschwitz by Pascal Croci begins and ends in a squalid room in former Yugoslavia in 1993, another graphic novel rendered beautifully in black & white, Auschwitz is a fictionalized story of an elderly couple trapped in the midst of the civil war that presaged the breakup of Yugoslavia. They relive their memories of being trapped in Auschwitz and what they had to endure to survive. Pascal Croci interviewed a number of survivors to make sure that his story was accurate, and based a number of incidences within the book on events that happened to his interviewees during the war. Auschwitz is relatively short – only 70 pages of story but it is no less harrowing for its brevity, it also contains background information to the creation of the book, including extracts from transcripts of the interviews and a glossary of terms used. Eric Heuvel is the author and illustrator of A Family Secret, using the ligne claire style of drawing pioneered by Herge the creator of Tintin to illustrate the book, he tells the story of Jeroen, who, while searching in his grandmother’s attic for items to sell at a flea market finds a scrapbook created by his grandmother in 1936. On enquiring about what it was about, Helena starts telling her grandson about her youth in Amsterdam in the 1930’s and the arrival of Esther, a young Jewish girl, and her family. A Family Secret is a wonderful example of a family split apart by politics and duty, viewed from the perspective of Helena who is telling the story. Using a child’s view for the narration gives the tale of the invasion of Holland and the indignities heaped on the citizens of Amsterdam and the Jews in particular. Helena’s father was a police officer and after the German occupation he had to become involved in clearing the Jews from Amsterdam and one evening he has to round up Esther’s family. The Search, also by Eric Heuvel is a companion volume to A Family Secret and tells the story of Esther, and what happened to her before and during the war. Both volumes are told via flashbacks from contemporary Holland and America and focus more on what happened to Jewish families during and after the war and how some survived. Out of all the graphic novels I read it was A family Secret and the Search that affected me the most, I found myself welling up whilst reading, this was in part due to my being a massive Tintin fan and seeing similar much-loved artwork being used to illustrate a heartbreaking story, these books are also the most positive, sad as they are. A Family Secret and The Search are published by MacMillan, Teaching guides for both books are available from the US site. Not all the graphic novels are black & white, Marvel Comics published a five issue mini series called Magneto: Testament, this is the backstory of Magneto, the greatest foe the X Men have ever faced. At first I questioned the idea of wedging a comic book villain into the story of Auschwitz and the events leading up to the final solution. It is not a super hero story, it is a story of the Holocaust and a boy who has to grow up quickly in the midst of the most inhumane conditions to not only survive but save the woman he loves and himself. Writer Greg Pak and artist carmine Di Giandomenico bring you this heartbreaking and historically accurate look at one of the most popular characters in the X-Men canon. Magneto: testament also contains extensive notes at the back of the book about the creation of the book and historical facts about Auschwitz as well as topics for group discussion. Marvel Comics is not alone in publishing a Holocaust comic book, DC Comics published the amazing what if… story by Joe Kubert, titled Yossel April 19, 1943. In 1926 Joe Kubert’s family tried to emigrate to America, but owing to the fact that his mother was pregnant with him at the time, their request was denied. Fortunately not willing to give up his family tried again shortly after his birth and they were successful with their second attempt. With Yossel, Joe Kubert imagined what his life would have been like if his family had not made their second attempt. The usual procedure in cartooning is to do the initial drawings with pencil, then to apply ink over the pencils with brush and pen. The pencil drawings are then erased, leaving only the ink rendering. As a concept the idea of a comic book composed of rough sketches does not sound too appealing, but when you open the book that does not matter anymore! You forget that these are only rough sketches; the sense of movement in them is amazing. I think that so much vitality would have been lost if they had been inked and coloured. Again this is a fictionalised account of what might have happened to Joe (Yossel) and his family had they not left Poland. The date in the title is significant; the 19th April 1943 is the date of the beginning of the Warsaw Ghetto Uprising. The Germans thought that they would be able to put down the revolt by the by then starving Jews in the ghetto in three days, but they were in for a shock, although poorly armed and hemmed in the Jews resisted until the 16th of May making the Nazi forces pay in blood for each foot of ground they took. I have recently come across two biographies involving the Holocaust, the first the story of Lily Renée who was fortunate enough to be evacuated to England but her story is no less interesting – her ordeal as a refugee in England was one shared by many who escaped. The second is the official graphic biography of Anne Frank, adapted from her diaries and other works documenting her families life in Germany and Holland. In 1938, Lily Renée Wilhelm is a 14-year-old Jewish girl living in Vienna. Her days are filled with art and ballet. Then the Nazis march into Austria, and Lily’s life is shattered overnight. Suddenly, her own country is no longer safe for her or her family. To survive, Lily leaves her parents behind and travels to England. Escaping the Nazis is only the start of Lily’s journey. She must escape many more times – from servitude, hardship, and danger. Will she find a way to have her own sort of revenge on the Nazis? Follow the story of a brave girl who becomes an artist of heroes, and a true pioneer in comic books. Drawing on the unique historical sites, archives, expertise and unquestioned authority of the Anne Frank House in Amsterdam, the New York Times bestselling authors Sid Jacobson and Ernie Colon have created teh first authorised graphic biography of Anne Frank. Their account is complete, covering the lives of Anne’s parents, Edith and Otto, Anne’s first years in Frankfurt; the rise of Nazism; the Frank’s immigration to Amsterdam; war and occupation; Anne’s years in the Secret Annex; betrayal and arrest; her deportation and tragic death in Bergen-Belsen; the survival of Anne’s father; and his recovery and publication of her astounding diary. Location: Dachau concentration camp years after World War II. A retired German SS captain returns to reminisce about his days in power. Until he finds himself at the mercy of those he tortured, and on trial by those who died at his hands. Justice will finally be served . . . in the Twilight Zone. Death’s Head Revisited is a graphic reimagining of the classic Twilight Zone episode of the same name. It details the story of former SS captain Gunther Lutze who returns to Dachau from South America to relive his old glory days only to be confronted by the ghosts of those he had murdered decades before. I had never seen the original episode so the graphic novel was my introduction to this classic story, I have since watched it (video below) and an mot sure which version of the story I find more chilling. It is a brilliantly told and illustrated story of vengeance from beyond the grave. The horror of the concentration camp is shown in full colour and the charges laid against the captain are chilling to read. Lutze is unrepentant and at first unbelieving of what is happening to him and needless to say gets what he deserves. An endnote to the story features similarities of the story with that of real-life Nazi war criminal Adolf Eichmann, who was tried for his crimes around the time the original story was written. Death’s-Head Revisited (Dir. Don Medford, 1961) from CAJ on Vimeo. Not all graphic novels focus on the Holocaust through the eyes of the people that suffred through it, I have recently discovered two brilliant books set in the here and now but still affected by the what has gone before. We Won’t See Auschwitz is a graphic memoir by Jérémie Dres about two brothers who visit Poland to see where their grandmother came from, their express mission is to not to visit Auschwitz. Auschwitz: five years of annihilation for more than a thousand years of life and history of the Jewish people of Poland. A trauma still so real it threatens to make us forget everything else. It’s the everything else that I went looking for. – from the preface by Jean-Yves Potel. The Property by Rutu Modan is another story about a woman and her grand-daughter’s return to Warsaw to reclaim family property lost during the war. When his grandmother dies, Jérémie and his elder brother wanted to learn more about their family’s Polish roots. But Jérémie is less interested in finding out about how the Holocaust affected his family, and more interested in understanding what it means to be Jewish and Polish today. They decide not to do the Holocaust trail… they won’t see Auschwitz. Through their journey, they discover a country that is still affected by its past. The brothers talk to lots of people, including progressive rabbis and young Jewish Orthodox artists. Using their grandmother’s stories, they piece together the threads of their family history. After the death of her son, Regina Segal takes her granddaughter Mica to Warsaw, hoping to reclaim a family property lost during World War II. As they get to know modern Warsaw, Regina is forced to recall difficult things about her past, and Mica begins to wonder if maybe their reasons for coming aren’t a little different than her grandmother led her to believe. 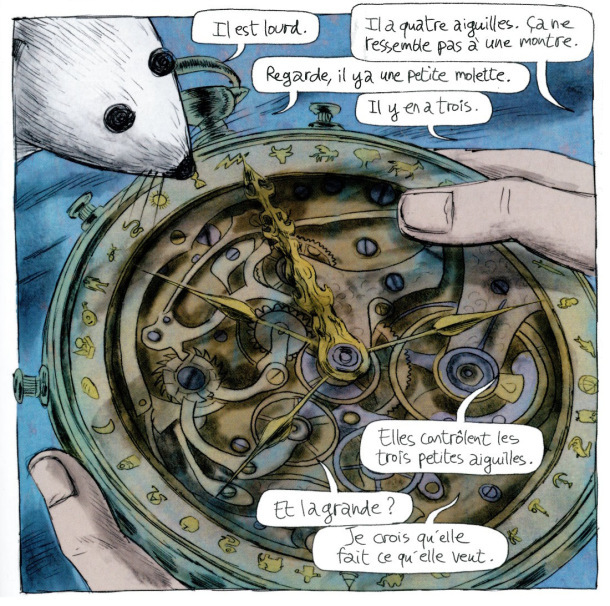 written by Loïc Dauvillier; illustrated by Marc Lizano; coloured by Greg Salsedo. Dounia, a grandmother, tells her granddaughter the story even her son has never heard: how, as a young Jewish girl in Paris, she was hidden away from the Nazis by a series of neighbors and friends who risked their lives to keep her alive when her parents had been taken to concentration camps. For everybody who thinks that the Spartan’s were the squeaky clean heroes of democracy portrayed in 300 (the graphic novel and the film). Three is a fictional tale of three Helots – the slave class that resided in Greece, set a century after the Battle of Thermopylae and their attempt to escape from 300 Spartans despatched to kill them. A longbow-man’s view of the Battle of Crecy, written by Warren Ellis. Crecy is a relatively brief introduction to one of the most important medieval battles that England fought in Europe. It contains a copious amount of swearing, but is highly entertaining and informative. Terra Australis charts the epic voyage of the First Fleet from London to Port Jackson, Australia. Tells the story of the campaign for votes for women. This title presents a tale of loyalty, love and courage, set against a vividly realised backdrop of Edwardian Britain, it follows the fortunes of a maid-of-all-work swept up in the feminist militancy of the era. Part personal history, part biography, this title contrasts two coming-of-age narratives: that of Lucia, the daughter of James Joyce, and that of author Mary Talbot, daughter of the eminent Joycean scholar James S Atherton. Described by Andrew Harrison as “the greatest British comic strip ever created”, Charley’s War tells the story of an underage British soldier called Charley Bourne. Charley joins the British Army during World War I at the age of 16 (having lied about his age and told the recruiting officers that he was 18; they conveniently overlook the fact that Charley gives his date of birth on his application form as 1900), and is quickly thrust into the Battle of the Somme. Berlin: City of Stones is the first volume of a trilogy of graphic novels detailing the decline of Weimar Germany. On the 15th of May 1940, the forces of the 3rd Reich surged into the north-west of France. In preparing for complete peace, the unwary French are surprised and defeated without having been able to avoid the manoeuvres. The Germans block off the British Expeditionary force in the ‘Dunkirk Pocket’. This book tells the story. In October 1958, Karl Mertens, a young journalist, arrives in Havana. Having read an interview with Castro in the New York Times, he sets out to meet and interview him. When he arrives, he finds himself in a country plunged into revolution, he quickly becomes involved in its events. Waltz with BBashir is a graphic novel adaptation of an animated film about an israeli soldier’s search for lost memories of his time in Lebanon during the Israeli-Lebanon War of 1982. Persepolis is an autobiographical graphic novel by Marjane Satrapi depicting her childhood up to her early adult years in Iran during and after the Islamic revolution. Marzi is Marzena Sowa’s memoir growing up in communist Poland during the lead up to the fall of communism in the 1980’s. My addiction to comics can be traced back to one specific comic book, I know this because it is always in my mind. Often not consciously thought about but it is there. The comic book in question is issue 27 of Saga of the Swamp Thing written by Alan Moore and illustrated by Steven Bissette and John Totleben. The story was called By Demons Driven. In slaughterhouses far beyond their ken. But chariots of wrath, by demons driven! Monsters, demons, possession, alcohol abuse, and pure, visceral storytelling… I still have the comic somewhere in a box at my parent’s house in Cape Town. I read somewhere that Moore wrote The demon Etrigan’s speech in iambic pentameter (who says thet comics can’t teach you anything?). Growing up in Cape Town in the ‘80’s it was not an easy time to be a comics fan (comics were hard to find), after a particularly bad series of tests and exams my parents banned comics (well they tried to) I rescued the remains of comics from a box in the front of the house, the inner section of a batman 80 page special from the 1960’s I think, with a story about a Mexican batman and a villain with a parrot I can still remember the Batman deducing that the Mexican Batman was in league with the bad guy by seeing parrot claw marks on his colleague’s shoulder, there were also some Archie comics, Richie Rich a Spiderman mixed in with sundry other titles. I hunted down comics where I could but they were few and far between in those days and it would be a few years before professional comic shops opened. The first was Reader’s Den in Cape Town and later came Outer Limits which became my regular haunt when I was studying at the Cape Technikon. I collected the entirety of Preacher by Garth Ennis from Outer Limits but I am getting a bit ahead of myself. Whilst in High School (and after my parents had forgotten about the comics ban) I was introduced to the Batman, and soon I was collecting Batman, Detective comics and Shadow of the Bat and Jim Balent’s Catwoman – only the early storylines as I did like a good story and an improbably voluptuous Selina Kyle could only keep my attention for so long. I collected Batman from the mid 400’s to the early 500’s. In between Batman and studying for tests and exams I discovered a corner store in Kalk bay where I lived that had a revolving rack stuffed with back issues of Justice League International (the storyline before it split into Justice League America and Justice League Europe) a FUNNY, dysfunctional super-hero story starring Batman, the Martian Manhunter Guy Gardner Green Lantern, Mister Miracle, Big Barda and others – just what I needed to take my mind off ever looming exams! I spent many Friday afternoons at Outer Limits when it was still on the Cape Town foreshore (after I had finished at Tech.) I was introduced to Sirius Entertainment – they published Chi-Chian by Voltaire as well as his Oh My Goth series and the Dawn comics by Joseph Michael Linsner. The one true comics love of my early to mid-20’s was Preacher by Garth Ennis, I followed Garth from Hellblazer and regretted not an instant! One man’s search for god who has abandoned his creation, followed by Tulip – his ex girlfriend (now a hitwoman) and Cassidy an Irish vampire – it was spot on for my tastes at that time and even today I still love it! Whenever I go back to South Africa (usually once a year or so) I did out my Preacher box and reread the series – usually in the evening when everyone has gone to bed and my nephew Scott is not there as he loves comics but at 12 is too young for many of my comics. I was also a fan of Bitterkomix – a South African publication mainly by Joe Dog and Conrad Botes two Afrikaner art students who were creating comics that were scandalising Stellenbosch University and Afrikaner culture (this was in the dying days of the National party led government prior to free and fair elections in South Africa. Nowadays as a respectable librarian earning a (fairly) decent salary with access ot the internet I have been collecting comics that I had only heard about when growing up and also trade paperbacks of comics I read. I have just finished rereading Transmetropolitan by Warren Ellis – political futurist sci-fi with a distinct humanist bent bloody funny and sharp as a razor. I have an original B&W trade paperback of Rick Veitch’s Brat Pack, most of Alan Moore’s back catalogue and his ABC stuff. I do most of my shopping at Gosh Comics which is, to my mind one of London’s best book shops. I have also started collecting individual comics again – only two series Saga by Brian K. Vaughn & Fiona Staples and The Massive by Brian Wood. I collected The DFC for the entirety of its (too short) run and am debating with myself about subscribing to the Phoenix – I flip through it every now & then at Gosh but am afraid of committing in case I am hurt again. I also read manga – but fairly infrequently these days (my time as the manga librarian is coming to an end) I still enjoy anime – particularly the movies released by Studio Ghibli, Madhouse and Gonzo. It is so easy to get hooked on reading comics these days. Most public libraries stock graphic novels, if you are in a university or college take a look under 741.5 in the Dewey sequence. that is how I discovered Watchmen, Maus and Dark Knight returns when I was studying. Or if you have money to spare check out your local comic shop! 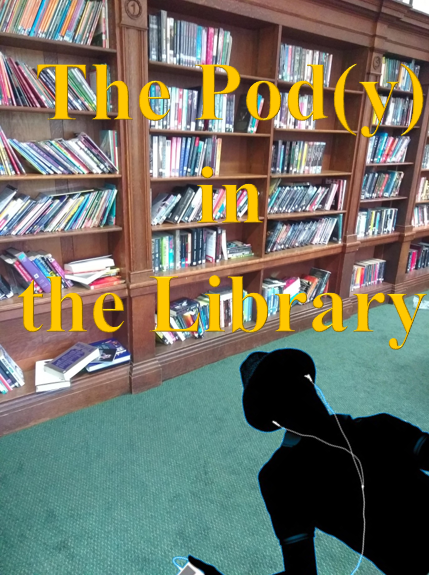 it’s comics time: calling all librarians!!! Read it now! It is brilliant! Sarah is the creator of the excellent Vern & Lettuce comic that appeared in the lamented The DFC her work has also appeared in Nelson – a comic book by 54 comics artists about a day a year over 43 years in the life of a girl called Nelson. Maus is already a staple in many library collections with the other titles not being as well-known but also deserving a space. The Stan Lee Excelsior Award has a brand new website! You do not know what the Stan Lee Excelsior Award is? That is (as the French say) Incroyable! Not to mention totally beyond the pale! The Stan Lee Excelsior Award is an exciting new book award for graphic novels and manga – where kids aged 11-16 choose the winner by rating each book as they read it! In 2011, 8 graphic novels were on the shortlist, 17 UK secondary schools took part and 842 ‘Rating Forms’ were returned! The overall goal of this scheme is to encourage reading amongst teenagers. However, its secondary target is to raise the profile of graphic novels and manga amongst school librarians and teachers. This storytelling medium has been a largely underused resource within education for many years. The Stan Lee Excelsior Award attempts to highlight some of the amazing books that are out there – books that fully deserve to be in our school libraries alongside regular fiction! The award was founded and is organised by the excellent Paul Register – who I may actually have met at a SLA conference in 2010 (but I could be wrong). To find out more about the Award and Stan Lee himself co-creator of Spiderman and other eX(-Men)cellent super heroes click on the massive logo above or follow this link: Excelsior!